Click on the Play Button and 'Escape from the Coolsonian' will start after this message... Thanks for waiting! Pirate Ship of Fools Episode 3 Go with Shaggy and Scooby in this adventure inside an ancient pirate ship. Help them look for objects and evidence to solve this mystery. 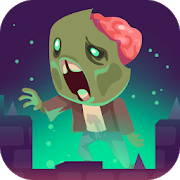 Help Scooby and his friends escape from the monster by running along the corridor. Open the doors in the right moment. Coolsville Clue Hunt Use the clues you find to guess where the objects you need are. You'll get a prize if you beat the game. Scooby is scared to death in a haunted house, as usual. Barbie feels sorry for him and has decided to rescue him. Help her find Scooby fast so both of them can escape this creepy house. In this horror graphic adventure you'll control Garfield. Escape the haunted mansion using the objects you find. Dora has been invited to a fiesta in the king's castle. But, while she's on her way, a witch appears and casts a spell on the castle it rises over the clouds and gets surrounded by smoke! You must help Dora look for the castle. You'll find old friends from fairy tales in your way, such as the seven dwarfs and the three little pigs. 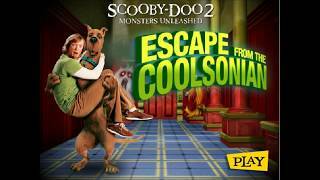 Scooby-Doo 2 Monsters Unleashed In this graphic adventure you'll have to escape the museum. Use the objects you find in the rooms to succeed.